Thirsty Pilgrim: What's on Your Table Thursday? What's on Your Table Thursday? But then there'd be fewer leftovers for us. The program: Funky lait cru goat cheese with 3 Fonteinen Oude Gueuze, turkey and all the trimmings with Saison d'Epeautre, and real pumpkin pie with Hercule Stout. For those celebrating: What's on your table Thursday? What's your ultimate turkey beer? *Absolutely true, and it should make you re-think any notions about Stella being a "premium lager." Sounds like a great meal, and excellent pairings. I only wish Hercule was still what it used to be. Unless you've been keeping some of the old bottles around...? We do the family double: T'giving lunch at my in-laws, then dinner with my family. A huge event, which always ends with karaoke. And hosted by a wine collector, so wine rules the night. Not that I'm complaining. As much turkey in one day as I usually eat in a year. Flying Fish Exit 1 Oyster Stout. Mmmmm...tasty. Nice trick pulling off the double, with a wine collector no less. I wasn't aware that Hercule had ever fallen off. IMO it's been in great shape lately. It's been interesting comparing them to some older bottles i the cellar... They get fruitier. Much prefer it when fresh and more, well, stout-like. It will be a day of saisons! I plan to start off with my homebrewed saison, then a Hennepin, Vieille Provision for the big meal, and finally the big and fruity Smuttynose Farmhouse with the apple pie. I have the Witkap Pater Singel Ale and deProef Saison Imperiale to go with Turkey. Then we have Koningshoeven Quadruple to go with pumpkin pie. I love the new beer warehouse in my neighborhood. Joe, you're living my dream life. Well done sir. Useful Beery Gift Ideas: Magazine Subscriptions. When is a Brewery Not a Brewery? 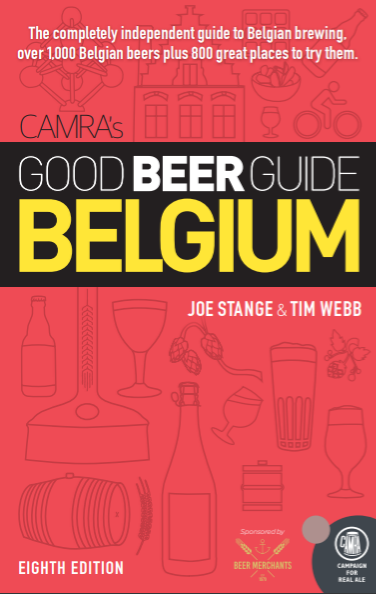 Bruges, Beers, Belfries and Books. The Brussels Glass — Currently Half Full. What Are Your Favorite London Pubs?